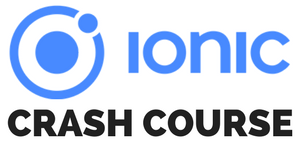 Recording videos from your app can be a substantial part, and with Ionic and ngCordova it’s no problem at all! In this tutorial I will show you how to record videos through a video service, and use the returned video data to save the material inside your application folder. On this way, you can be sure the videos will exist even when the user deletes them from his library, which could otherwise lead to hard crashes. 2015 is near, so I thought it would be a good idea to think about the trends to follow next year. For me, there are 3 key areas with particular fields to watch out for in which will be a movement in the next time. Obviously there are more areas which are not listed here, all the buzzwords you might know like Internet of things, cloud APIs and more. These are also interesting areas, but the 3 listed below in the infographic are my favourites as a developer, especially as a mobile developer. Having a great app but not getting any reviews? You might just need to push your app users a little bit to get more ratings for your app! Therefore, I will show you how to add a simple cordova plugin in your ionic app to attract more users to rate your app. Many times you may want to have a login at the beginning of your app. Handling a login with Ionic and Angular is very straight forward. For the purpose of creating this Ionic Login Example, I will use a simple starting template from the Ionic guys und just add a login before the template app shows. Sending emails from your ionic app is no trouble at all, because here comes a tiny plugin which will help us with everything. Getting images into the mail can be a bit tricky, but if you know which string to pass to the mail function, this won’t be a problem as well. So let’s see how everything works together. From time to time you may want to capture images with your app, either from camera or from the users library. But just keeping a reference to it won’t help if the user deletes the images from hist photo library. Therefore, you need to store them local in your apps directory. I will make use of the ngCordova module, which is a simpler library from the ionic guys of the cordova stuff (great job btw @ionic). If you have followed my last tutorial how to create a custom yeoman generator you are probably asking yourself how to make your yeoman generator public available for everyone. The solution for this is a node package module, which everyone can install via npm install yourpackage. As I don’t want to setup a useless project, I will explain how to submit a package by having a look at one of my generators, the Python Bottle generator for yeoman. You can find the sources at github. In the last post I wrote about the awesome Yeoman and what he can do for you. This time, I’m gonna show you how you can setup a custom yeoman generator to fit your needs. The goal will be to run a simple yo command to setup a folder with files, replace some strings with custom user input and install dependencies via bower. I won’t include grunt in this case, because I just don’t need it and want this introduction to be as easy as possible. As an up-to-date webdeveloper, you might have some problems following every new trend, framework and building tool. But there is a solution which will eliminate all your problems and give you the power to develop great apps, clean code and solid architecture in nearly no time: Yeoman! 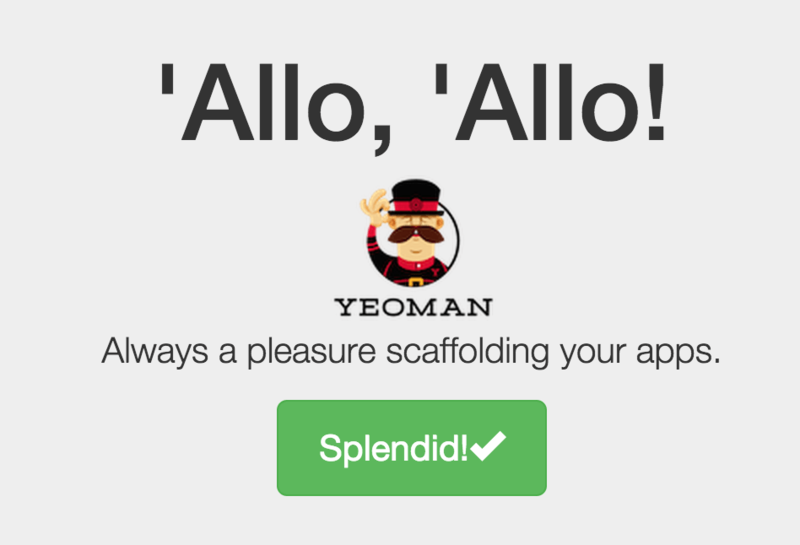 Yeoman is a command line tool for scaffolding your web projects. It uses modern toolkits and combines them in great way to enhance your development process and reduce time. Awesome! Or as you might later think: yo. So if your just about to set up a new project, please don’t start to copy&paste all that bootstrap, jQuery and other stuff in your folders and take a minute to setup yeoman, you won’t regret it. 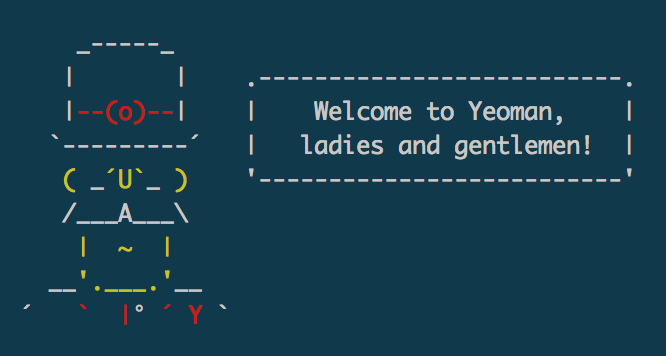 yo is the command to start all actions with yeoman. You can start a clean project including a git file if you wish to set it up later, and later you can generate even more code to keep things clean. Grunt is a easy way to test your code. With the grunt build system you can test and preview your webapp easy on your local machine without needing a webserver. 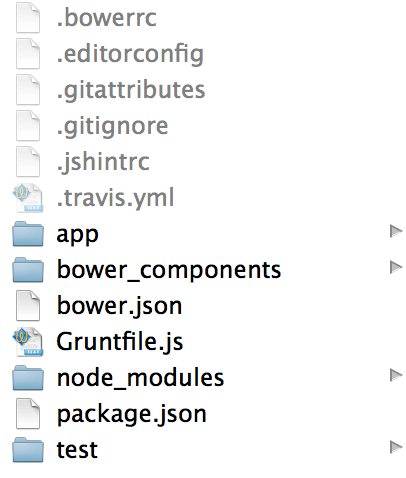 The beautiful little bird Bower has its strengths when it comes to dependency management. Having all dependencies in one file and installing and updating with no effort is a must have in nowadays web development. Generators are yeoman packages aimed to create a new project or add classes/controllers/whatever to your project without the need to copy stuff in 5 different classes, only to fail because you missed to copy it in 1 more file. The command above install the yeoman generator for an angular project. You should see a message like that, asking whether you would like to install Sass(no) and Bootstrap(yes). Finally, yeoman asks which angular modules you would like to include. For now, leave the default and press enter and yeoman will load A LOT of files. It might take some time depending on your bandwidth, so you could grab a coffee for sure. If you are familiar with angular, obviously you can select whatever you need for your new project. If you don’t select it right now, no worries, you can still add everything later on. The nice man should greet you from localhost:9000 with a beautiful starting point for your angular webapp! Congratulations on your first yeoman project! To setup a project with everything you need in minutes is awesome for developers and yeoman can do even more for you. The next time I will show you an easy way to expand your angular app with some controllers generated with yeoman. If you like yeoman, give the team some credit and recommend their work, because they deserve it! Don’t forget to sign up for the newsletter on devdactic to never miss the latest stuff going on!